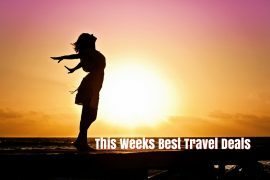 In my best travel deals this week I have a last minute Easter break, summer holidays to Portugal and Dubai & Maldives, Rome in September, Christmas in Disneyland Paris and an amazing cruise and stay in Lake Garda. Fancy a week away over Easter? You better be quick! Ryanair has great value on flights to Malta in their latest sale. 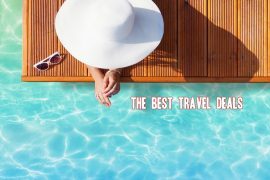 Price for flights and a seven-night stay in the 4* Marina Hotel Corinthia Beach Resort, is only €409 on the 21st of April. This is highly rated on tripadvisor and is excellent value for such a peak time. Did you know there are six flights a day from Dublin to Lisbon? This is great news for travellers as the airfares are so low, even in peak season. I love Cascais, I stayed there a few years ago and would highly recommend it. I chose the 4* Vila Gale Cascais which is superbly located right in the centre and also beside the beach. It receives great reviews on tripadvisor and the price for flights and a seven-night stay on the 4th of July is only €609, which also includes breakfast! 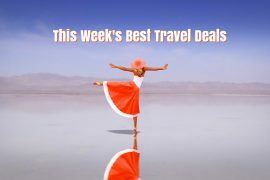 Jetline Cruise have some of the best cruise and stay offers that I have seen. I particularly like this one! Fly from Dublin to Venice and enjoy an overnight stay, before cruising around Croatia and the Greek Islands with Royal Caribbean for seven days. You will then round off this magical trip with a three night stay in Lake Garda! 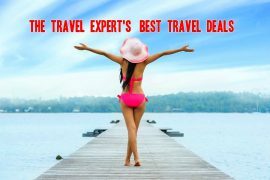 Prices start at €1369 in October or €1529 in August which includes flights, transfers, a seven-night cruise on Rhapsody of the Seas and 4* hotel stays in Lake Garda and Venice on a B&B basis. When you click on the link, scroll down to see all the various dates available, there is bound to be one to suit you! I am going to Dubai and the Maldives over Easter and I can’t wait! It is probably the most expensive holiday I have ever booked, but I think it will be worth it! I found a similar deal with Tropical Sky, which is amazing value. Enjoy a seven-night stay in the highly rated Meeru Island Resort & Spa on a full-board basis and finish off with a two-night stay in the JA Ocean View in Dubai, all for only €1849! This is available on many dates in May, June, July or September and includes a saving of €475 per person if you book before the 30th of April. Disneyland Paris is magical at any time of year, but Christmas time is my favourite. We went two years ago and the kids loved it. Travalue have a great deal which includes flights, a three-night stay in the Disney Santa Fe Hotel with breakfast and evening meal, return airport transfers, four day park tickets and a special bonus of a Disneyland Family Photo pass, to record all your memories while you are there! Price is €505 per person, based on 2 adults and 2 children sharing. Enjoy a night in one of Cork’s most popular hotels, the 4* Montenotte Hotel. Recently refurbished, this boutique hotel offers stunning views, a wonderful leisure centre and mouth watering cocktails! This super deal is only €99 per person and includes breakfast, dinner, prosecco, chocolates and leisure access. Rome is always a good idea! Enjoy a weekend break in September for only €192. 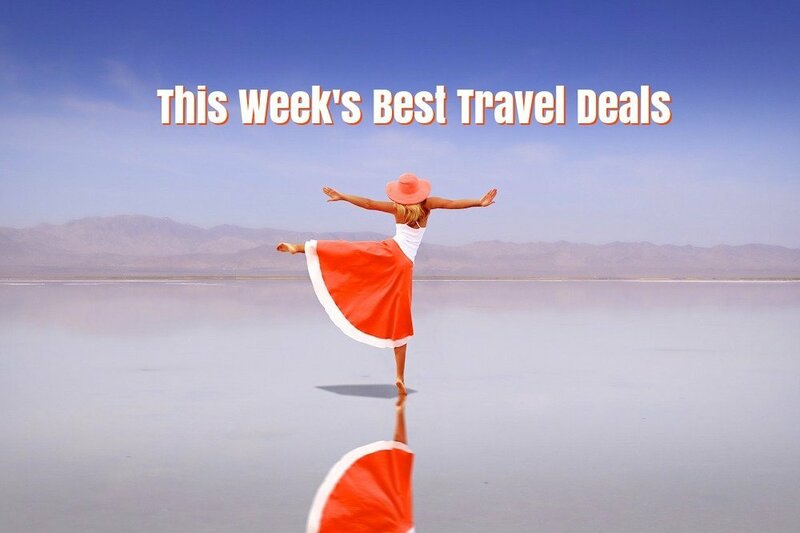 Price includes flights and a two-night stay in the centrally located Excellence Suite. If you opt for the early flight out on Saturday morning and the late flight back on Monday (supplement €18), you will have three full days exploring this great city! 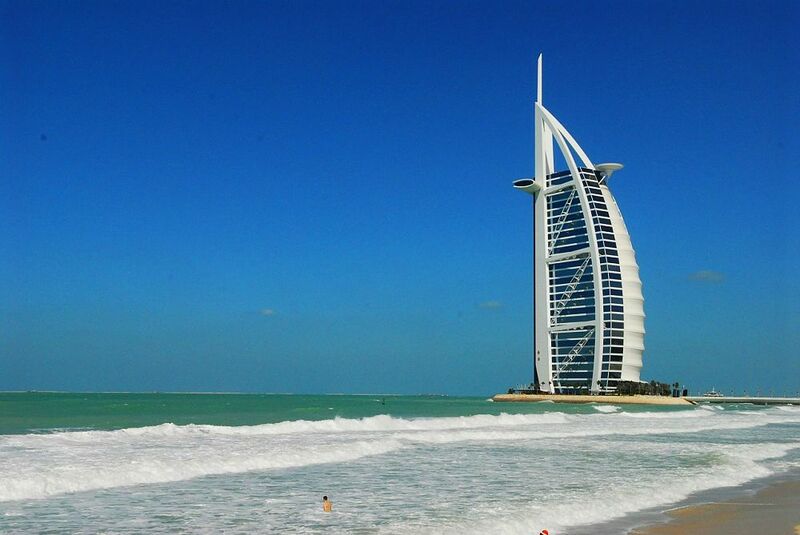 Five Star Dubai Break, 13th September, Flights & Hotel, 3 Nights, €585!